As a child, Christina Sullivan Roughan would often join her mother on antique treasure hunts at the markets near her Massachusetts home. At first, it was a rough go — her mother’s intent gaze lingered from table to table as she sought out finds. It made for a long day. “As I grew older, I appreciated it more and more,” Roughan says, who years later helped her mother and grandmother, when they set up shop with their discoveries at the Brimfield Flea Markets in Brimfield, Mass. Roughan (pronounced Rowan), an award-winning designer who runs Roughan Interior Design, cultivates her own antique and collectible treasures that offer a distinct personality to a room. Her intent is to find objects that evoke emotions and conjure up memories. They are the pieces of a larger, eclectic puzzle — one that incorporates elements from different eras and styles in a way that all fits. Among her finds are glassware from the late Dorothy Thorpe — those silver-banded tumblers that were the rage in the “Mad Men” era, as well as the Norwegian bright enamel Cathrineholm bowls, with their lotus and stripe designs, that evoke kitchens of the 1960s. 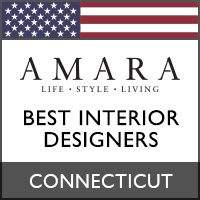 It is an intersection she has planted herself at since the start of her interior design career in the early 1990s, after designing stores for Ralph Lauren and Tommy Hilfiger. With offices in Greenwich, New York City and Weston, her aesthetic is adaptable to sophisticated city lofts and studios, as well as classic country homes. She calls her approach modern traditional — a trend that has grown in popularity since she first started out in New York City in her early 20s. “It’s timeless and approachable,” she says of a perspective that teams sophistication with simplicity. One could trade in the words classic and comfortable, too. It’s tailor-made for those looking to soften the lines of modern and traditional furniture and bring a touch of whimsy and coziness to a space. It allows Roughan to place two modern Saarinen chairs into a play space in a traditional Darien home. The room pops with color — deep blues and apple greens — and possibility. It can double as a place to play and a place to entertain once the toys are tucked away. 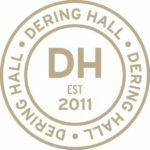 For a dining room in a 1800s Georgian home, she might suggest a traditional table, but surround it with modern chairs. 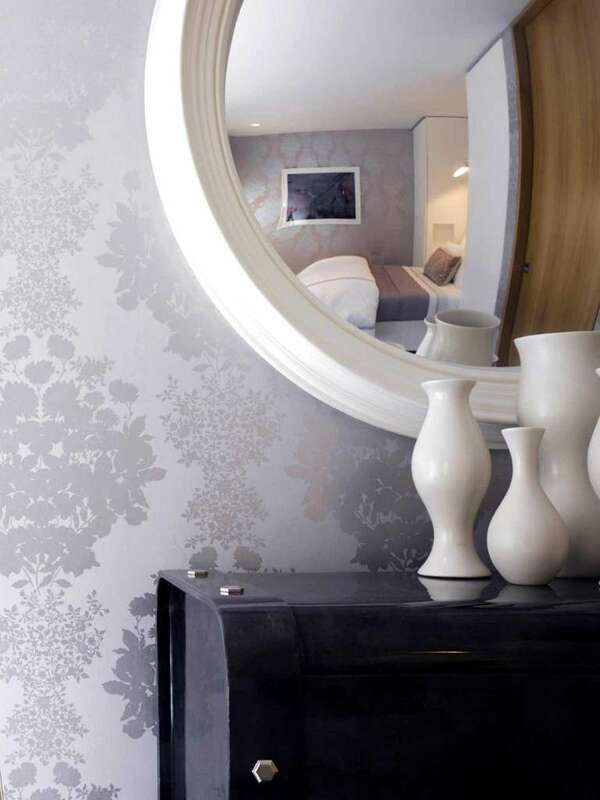 Classic drapes are put on sleek, polished nickel poles and the wallpaper boasts bold floral graphics. Nothing is too fussy or layered or staid in these looks. Even those with clean, simple lines have a softness and accessibility to them that reveals the personality and character of the family or person living in the space. Roughan works with clients to gather accessories and art they love and will give each project its own look. Early in her career, such flexibility was key to designing the retail shops for Ralph Lauren. “We had to do a lot of different looks for the experience,” she says, noting that each store required a distinct feel and personality. At any moment, she was looking for elements that would broadcast a chic New York City penthouse, an Irish cottage, an opulent English estate, a polo club or a cottage by the sea. 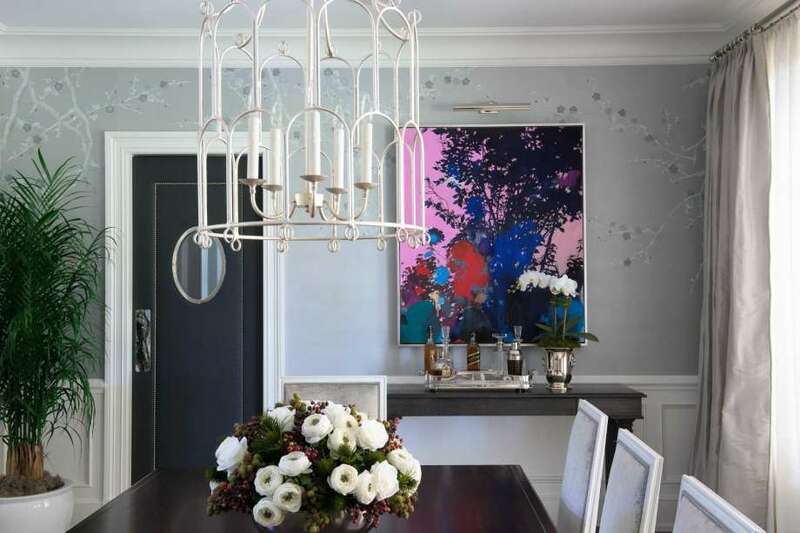 In the 24 years since she began working in homes and commercial spaces as an interior designer, she has attracted celebrity clients, including Donna Karan and Japanese retailer Takashimaya. 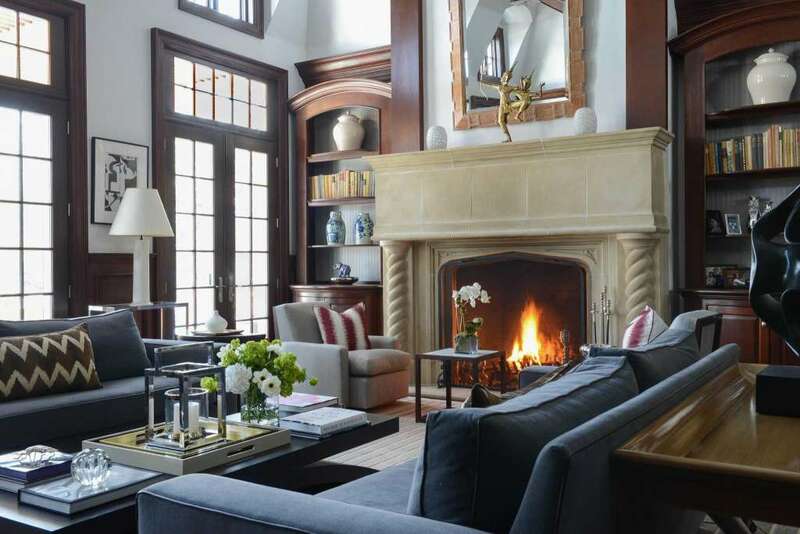 She has transformed homes throughout the tri-state area and beyond, with projects in Greenwich and Darien, and those in New York City, Florida and California. 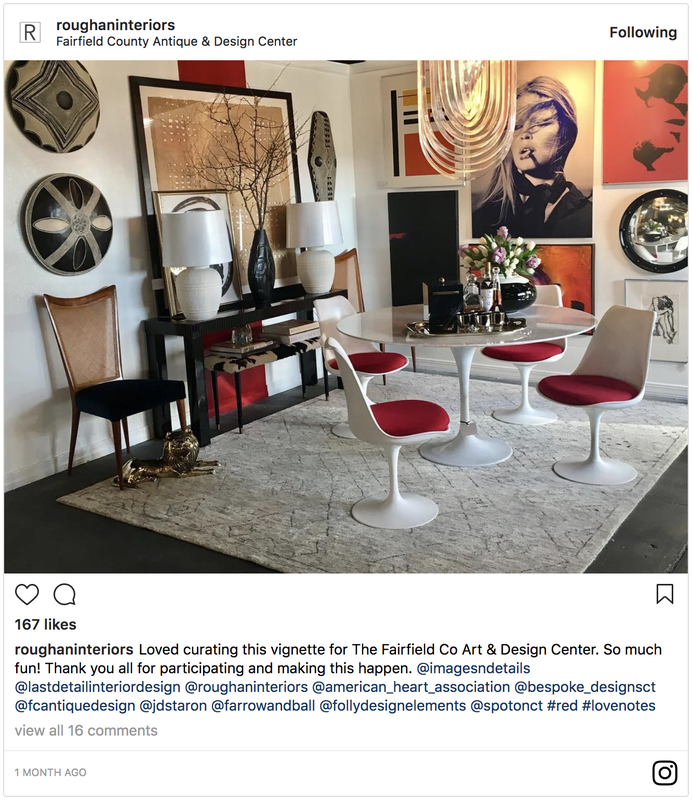 Last month, she was tapped by the Fairfield County Antique and Design Center to show off her design style with a vignette she created from pieces within the center. She suspects this approach to home design is not going to fade anytime soon, given the flexibility and function it affords the modern dweller. Colors need not stay in strict color palettes. Whimsical pieces can rub elbows with traditional accents. Art and photography can be hung side by side. It’s all about the flow, Roughan says, and ensuring the pieces work well together.